If you’re looking for a PC to listen to music, browse the web, look at pictures, watch TV or DVD/Blu-Ray Disks, you’re at the right place. If this is not what you’re looking for, check out our other Computer Systems instead. This article is the result of a collaboration between Brian, our contributor for The Best CPU Coolers For Your Money and myself (Mathieu). We hope that you enjoy the results! The Silverstone ML03B, the case recommended for Tier 1 and 2. These computers are designed to be tucked into a corner of your living room, kitchen, or bedroom and can be used to power a TV in a discrete manner (people won’t notice that the TV content is actually coming from a fully fledged computer). As such, our focus won’t be on offering the best performance for the dollar, but it will instead be focused on offering good performance while maintaining excellent reliability, attractive and compact cases, low noise, and relatively low temperatures. In addition, I’ll be offering suggestions for accessories on ways to provide input for the HTPC/SFF, ranging from small remote-like controllers to full size keyboards and mouses. Is this your first build? Here are 10 Quick Tips for 1st Time Builders to get you started. Newly built computer won’t start? I invite you to read Help me: Why won’t my newly assembled PC start or boot? Visit our forums here, where you can join our helpful community and ask questions. This small Mini-ITX motherboard contains the E-350 CPU (which contains the Radeon HD 6310 GPU), which offers enough horsepower to do general computing tasks, as well as 1080p video playback. Furthermore, it has low power consumption and a vast array of ports, probably everything you need, except for USB 3.0. Ports on the back: Four USB 2.0 ports, two USB 3.0, one PS/2, VGA, DVI and HDMI outputs, E-SATA, Gigabit LAN and 8 Channels audio + Optical S/PDIF Outputs. Expansion slots: On the board itself, you have one PCI-Express 2.0 16X slot, running at 4x. Other connectors/features on the motherboard: Two fan connectors (one four pin, one three pin), four SATA 6.0Gb/s and two USB 2.0 headers. Included in the box: Motherboard, two SATA cables, manual, CD with drivers/utilities and I/O backplate. This high-end E-350 board has everything the ASRock has, and more. It has another SATA III port, Bluetooth 3.0, Wifi IEEE 802.11 n and USB 3.0. It’s called deluxe for a reason. Ports on the back: Four USB 2.0 ports, two USB 3.0, one PS/2, DVI and HDMI outputs, Bluetooth 3.0, Wifi IEEE 802.11 n, Gigabit LAN and 6 Channels audio + Optical S/PDIF outputs. Other connectors/features on the motherboard: Two fan connectors (both three pins), five SATA 6.0Gb/s, two USB 2.0 headers and one USB 3.0 header. Included in the box: Motherboard, two SATA cables, two Wifi antennas, manual, CD with drivers/utilities and I/O backplate. The AMD E-350 is the perfect CPU for this build, as it has a small 18W TDP. It’s also faster than similar Intel Atoms, because it has out-of-order execution. The CPU is embedded on the motherboard, so you don’t need to buy it separately. The AMD Radeon HD 6310 is fully capable for 1080p video playback, and performs similarly to the Nvidia Ion platform for Intel Atom. The video card is integrated into the CPU, so you don’t need to buy it separately. 4GB is really inexpensive and will ensure smooth video playback, especially with Blu-ray disks, where 2GB could cause shutters. 4GB is preferable to ensure smooth video playback along with Windows and background applications such as your anti-virus, web browser, backups, etc. $45 – G.Skill 8GB (2x4GB) DDR3 1333MHz – 8GB is also an extremely inexpensive option at the moment and although it won’t deliver much of a performance increase, it is a good way to future-proof your PC. RAM is so cheap, and if you have a little extra cash, 8GB of RAM is something to consider. Seeing as this is an HTPC, I went for “green” hard drives that spins slower at 5400 rpm. 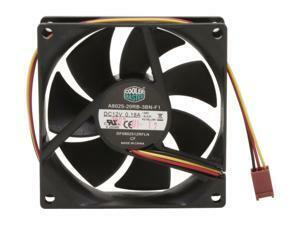 That allows for lower noise, lower power consumption and lower heat dissipation. No worries though, 5400 rpm is still plenty fast enough for video playback, even at 1080p. Boot times will suffer, which is why I’ve added an option for a SSD, which is optional for Tier 1 and recommended for Tier 2. $80 – SAMSUNG EcoGreen F4 HD204UI 2TB SATA II 3.5″ – Get an additional 500GB of storage capacity for $20 more with this HDD. 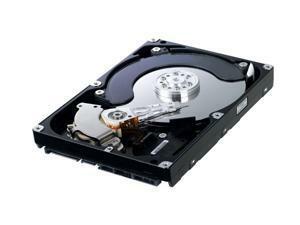 $145 – Hitachi Deskstar 3.5″ 3 TB SATA III – If you want a LOT of storage capacity, this is the drive to get. The motherboards unfortunately do not feature hardware RAID. However, if you get two identical hard drives, you can use software RAID within an operating system such as Windows 7. I’d recommend RAID 1 to protect your data in case of hard drive failure. Is this the fastest and highest capacity SSD that you can get for $105? Nope. However, you don’t need the fastest SSD for a HTPC and all the storage that you really need is 20GB to install Windows (if you don’t choose to go with Linux that is) so that your HTPC boots fast. I picked the Intel 320 40GB because it is one of the most reliable SSDs available on the market today and also because it includes a 2.5″ to 3.5″ drive adapter and a much-needed SATA cable (The Tier 2 motherboard includes two SATA cables when you’ll need three (HDD, SSD and Optical Drive). This drive is able to read and burn CDs and DVDs. Silent, compatible with all major formats including DVD-RAM. The recommended motherboards and parts include enough SATA cables for all your devices, so no need to worry about that. Also, seeing as DVD Burners often go out of stock, here are a two alternatives that you can use to replace it. All are SATA based. If you’d like to watch BluRay movies or TV shows, this $55 – SAMSUNG 12X Blu-ray Reader 16X DVD/48X CD Burner SATA will do the job. However, note that it can only read Bluray disks, not burn them. On the flip-side, it can burn DVDs and CDs without any problem. If you want the ability to burn Blu-Ray disks as well, then the $80 – LG Black 12X BD-R 2X BD-RE SATA is what you want. Based on various reviews and feedback on various forums, PowerDVD 11 3D Ultra is the software that I recommend to you. 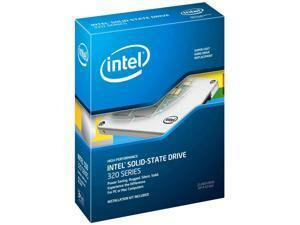 It is fully compatible with Windows 7 and shouldn’t give you any problems. 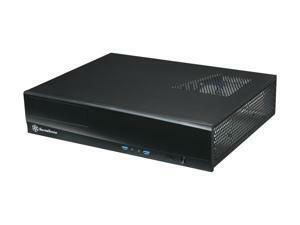 The Silverstone ML-03B is relatively cheap and small. It also supports a full ATX size power supply as well as a Micro-ATX motherboard, giving room for future upgrades. However, it doesn’t have fans so you’ll have to buy that separately. This case, available in black and silver, doesn’t offer the option to upgrade to a Micro-ATX motherboard in the future, but it allows you to use a sound card as it has full-sized expansion slots. Furthermore, it supports a full ATX size power supply. It also comes with a 140mm fan for efficient cooling. This case, available in red, black, and silver, is one of the most flexible Mini-ITX motherboards on the market. It doesn’t support Micro-ATX motherboards, but it supports up to six 3.5″ hard drives, has a 120mm fan and a 140mm fan, supports a full ATX size power supply, has reasonable CPU clearance, and accommodates all but the largest graphics cards. This is an HTPC with an E-350 processor and onboard graphics, so needless to say, it draws very little power and you don’t need a large power supply. Instead, I focused on giving you a high-quality, reliable, and efficient (80 PLUS Bronze Certified) power supply from SeaSonic. The Silverstone case includes no fans, which is why I’m recommending two low-noise fans to add some airflow. The other alternative cases include fans already, so only buy these two fans if you go with the recommended Silverstone case. The motherboard has a single PCI-Express 16x slot, which I left open if you choose to add a dedicated PCI-Express sound card. However, nothing stops you from using this USB TV Tuner if you wish to watch or record TV. Note that it is optional and that its price is not included in the build because not everyone wants or needs a TV Tuner. If you’re an audiophile or just enjoy high quality sound, then onboard sound, no matter how good it is, won’t cut it for you, so here are three excellent PCI-Express 1x (yes, a PCI-Express 1x card will fit and function in a 16x slot) sound card that I recommend to you. If you go with the Silverstone case, then your only choice is the ASUS Sonar DX, which include a half-height PCI-bracket, which is compatible with the Silverstone case. On the flip side, if you go with a LIAN LI case, you can pick any PCI-Express 1x sound card. Basic connectivity for a basic motherboard. It’s called deluxe for a reason. This motherboard includes wireless 802.11, Bluetooth 3.0, and 10/100/1000Mbps LAN. What else could you need? This is a capable WiFi antenna if you want WiFi with the cheaper ASRock motherboard. This is a Bluetooth adapter if you want Bluetooth with the cheaper ASRock motherboard. This is the least expensive input option at $51. For that price, you get a keyboard that features a numpad, an optical trackball, a scroll-wheel, two buttons for left and right mouse buttons “clicks” as well as many multimedia buttons. If you want everything the ADESSO has, plus a remote, get this. With a rated battery life of up to three years, this is a good input device if you want to use a basic mouse without worrying about too much about battery life. Works great with the Solar Keyboard. With a good ThinkPad like key feel, and potentially infinite battery life, this is a good input device if you want a basic keyboard without worrying at all about battery life. Works great with the Marathon Mouse. This is a high end, small form factor input device for your HTPC. It connects via Bluetooth(included dongle), has a mini keyboard, and a touchpad. This is a high end, full size input device for your HTPC. It connects via Bluetooth, has a full size keyboard, and a fancy touchpad. Windows 7 Professional: If you want the virtual XP mode, you’ll need at least the Professional edition. Also required if you want to backup to a network, using the built-in backup mode in Windows. A lot of people these days boots more than one OS. Linux is a wonderful choice: powerful, cool, and cheap. Take your pick of distributions and have fun! For Fedora, Ubuntu, Debian, Slackware, and Mandrake, try Distrowatch.com, Cheapbytes.com, LinuxQuestions.org or one of the many others. What about Word processing, Excel and other Windows-based programs that you need? Linux being an open platform, there are many free alternatives that will answer your needs. For Word/Excel and such, try OpenOffice. What do you think of the brand new Budget HTPCs? Now that we’re done with the budget HTPCs update, you can expect updates to the Mainstream and High-End HTPCs within the next two weeks. Limited CPU power: Although faster than netbooks, this features a dual-core AMD E-350 and is not recommended for a workstation, audio and video encoding or conversion or an hybrid gaming machine. Limited upgrades: The CPU is embedded, so you can’t upgrade it. You only have a single PCI-Express 16x slot, limiting your options. Will be updated within a week or so. Will be updated within two weeks or so. Did you know that you can get our future articles for free via RSS or Email? That way, you never have to check the site for updates again because you get the latest and greatest articles delivered automatically in your RSS reader or Email inbox around 7PM EST, every day that I publish an article. If you’re not familiar with RSS technology, here an article that explains What is RSS? PreviousHave a Backup System that you can rely on! Article picture is so boss. Would this be able to handle stream media from a media server (not over wifi)? As long as you have the latest AMD drivers and codecs as well as a decent media player (i.e. not Quicktime), you should be able to stream pretty much anything up to 720p. 1080p streaming should be fine too, but it might struggle here and there. 1080p playback isn’t an issue if you copy the file to the local drive before playback though. Yeah, the Mainstream HTPCs will have no problem handling that. can you run audio via the HDMI out? hold 1 BluRay drive, 1 SSD, and 1 1TB Hitachi hard Drive? Would this system be able to output Mater blu-ray HD audio though HDMI if i pass it though my Audio Receiver? also on newegg’s review a lot of people are having issues on playing 1080p mkv and flash without tweaking some settings..
Why do you recommend 1333MHz dual channel RAM when the mainboard supports only DDR3 1066 in single mode? DDR3 1333MHz is often less expensive than DDR3 1066MHz and will automatically run at 1066MHz if that’s what the motherboard supports. all i want to do is play videos from the internet to my tv. Will the budget system work just fine for that? i bought all the main tier two hardware today and will install mythbuntu on this box (assuming everything works out of the box.) please note that its no longer cheap for any large hard drives (1tb or bigger) due to flooding in tiawon (yea i spelled that wrong…) they probably wont go down for another four to six months if even that soon. more as i build this system, perhaps making a blog or adding to an existing one about my experience. Yeah, the flooding in Thailand is an horrible human tragedy and also caused the prices of HDD to spike quite a bit. If i add a TV Tuner will i be able to record TV with the budget HTPC? Great website by the way. I’m brand new to computer building but this site has me amped up to attempt a build. I’m ordering all the tier 1 stuff today to see if I can get an HTPC up and running. Because it’s a first-time build for me, I don’t want to spend the money for a new OS. I’m burning Ubuntu onto a CD as I write this. Can I use that as my OS for this build? Thanks again for such a great resource and for any replies! Please update this article! The second motherboard isn’t even available anymore on Newegg. Any chance this article can be updated for 2014? Thanks!